LAKE ELSINORE - The Lake Elsinore Storm, in conjunction with the USS Midway Museum and Port of San Diego, are proud to announce the Midway Classic, a Home Run Derby-style event to be held on the deck of the USS Midway on Monday, June 20, 2016. 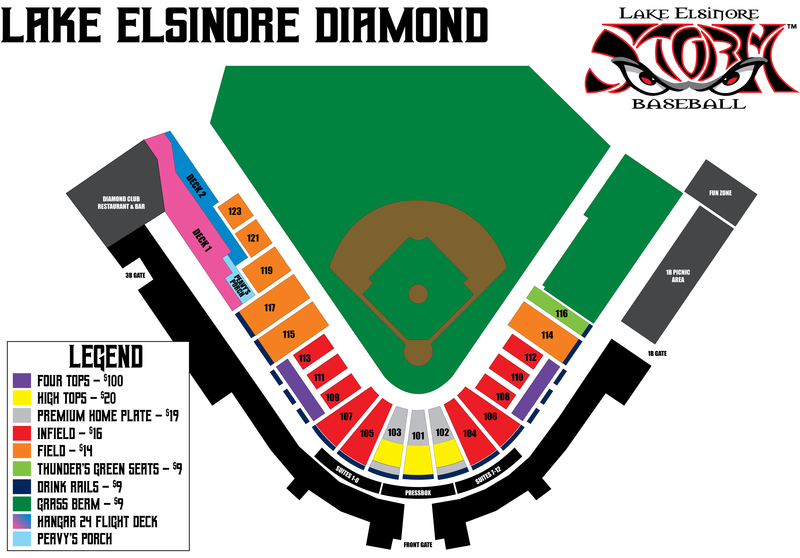 The Midway Classic is a part of this year's All-Star festivities, which culminate with the California/Carolina League All-Star Game on June 21 at The Diamond in Lake Elsinore. Home plate for the competing hitters will be located approximately 250 feet from the bow of the ship, and the hitters are expected to hit an estimated total of 150 balls into San Diego Bay. The balls landing in the bay will be retrieved by volunteers on jet skis, standup paddleboards and kayaks who are stationed in the landing zone. The volunteers include teens who are benefactors of Outdoor Outreach, a local non-profit that provides water-based recreation opportunities to youth in underserved neighborhoods in the San Diego and South Bay areas. Port staff assisted with all of the permitting and arrangements with the affected local agencies and tenant businesses for the in-water portion of this event, and San Diego Harbor Police will be on station in the water as well. VIP tickets for the event - which include a pre-Classic reception - are available HERE. General admission details will be announced at a later date. Eight players total, four from each league, will be selected to participate in the Midway Classic Home Run Derby. The All-Stars will compete in single-elimination, head-to-head matchups, continuing through three rounds, in which the player(s) with the most home runs/points advances to the next round. Each player will get 15 swings during their round. Should a tie exist at the end of a round, players will receive five more swings (if tie continues, three swings and then sudden death with one swing).